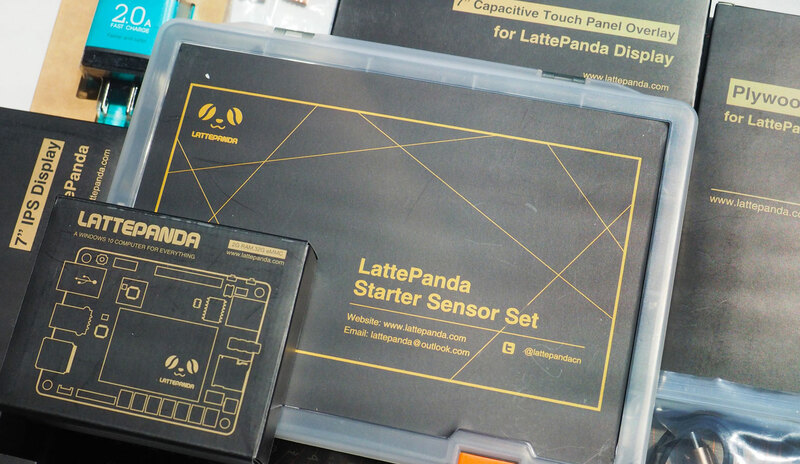 Engadget giveaway: Win a LattePanda DIY kit courtesy of DFRobot! Build your own Windows 10-based machines with this expanded starter kit. A caffeinated bear with coffee bean eyes is a catchy brand concept, and you'll no doubt want to grab a cup 'o joe for a long dig into this week's LattePanda giveaway package. DFRobot, your online home for expandable electronics and robotics kits, has provided us with these Windows 10-based computers along with a pile of expansion components. This includes two of the 1.8GHz quad-core LattePanda board computers in both 4G RAM/64G ROM and 2G RAM/32G ROM sizes, plus a series of items to get your next big electronics project off the ground, including an IPS display and capacitive touch overlay. LattePanda also packs integrated WiFi, Bluetooth 4.0, HDMI and USB 3 interfaces, along with an Arduino compatible processor. If you fine you need more components, DFRobot's selection will help you reach your goal. All you need to do is head to the Rafflecopter widget below for up to three chances at winning this DIY eletcronics kit. Winner: Congratulations to Denis H. of Belmont, CA! Winners will be chosen randomly. One (1) winner will receive one a LattePanda Windows 10 DIY Kit from DFRobot including: KIT0112 - LattePanda Starter Sensor Set $59.90, FIT0318 - Nillkin AC/DC Adapter 5V@2A $6.95, DFR0419 - LattePanda Enhanced (Windows10) $139, DFR0418 - LattePanda (Windows10) $109, FIT0477 - 7-inch 1024x600 IPS Display $29, FIT0478 - 7-inch Capacitive Touch Panel Overlay $19, FIT0475 - Plywood Case $8.20, FIT0479 - Double Sided Micro USB Cable $3.10, FIT0367 (x5) - Self-adhesive Pure Cooper Heatsink $1 ($5). Entries can be submitted until August 3rd at 11:59PM ET. Good luck!